Merry Christmas!  I hope that you had an amazing time with your loved ones during the holidays! Today, I would like to share my #littleredressproject. I may be a bit late on this. The reason is that the dress didn’t turned out as good as I would like to..so I wasn’t sure if i was going to post it or not. 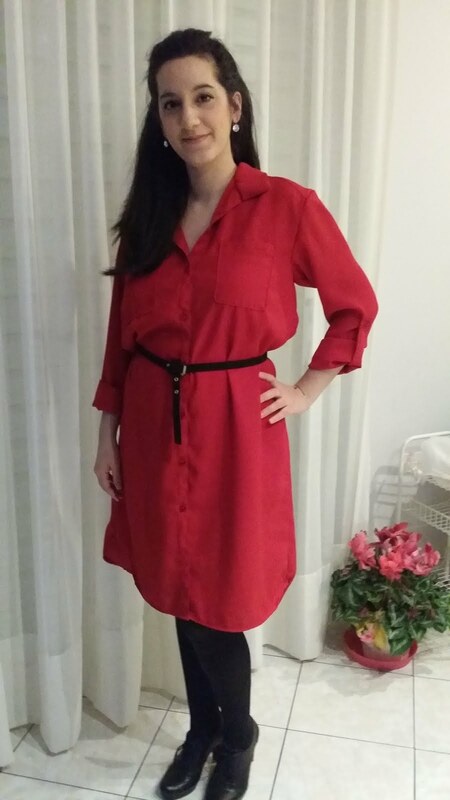 The thing is that I’m not a big fun of solid red dresses because I find them too loud for me to wear. However, this wasn’t the only issue with this make. Let’s take it from the beginning, shall we? 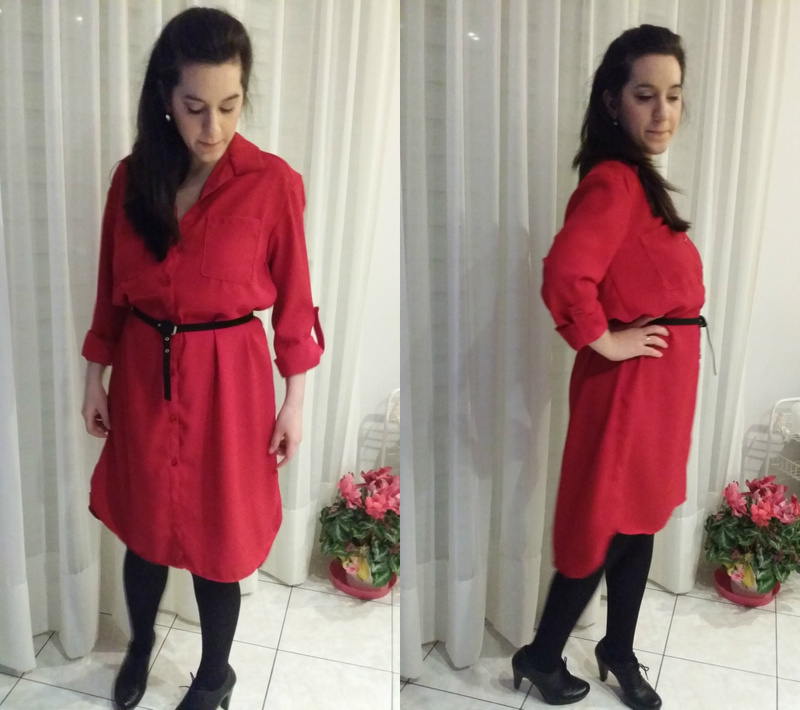 For this project I chose the Alex shirt dress from the Sew Over It ebook “City break”. This was my third make from this book! The pattern is labelled as a beginner sewing pattern. I was so excited about this make! 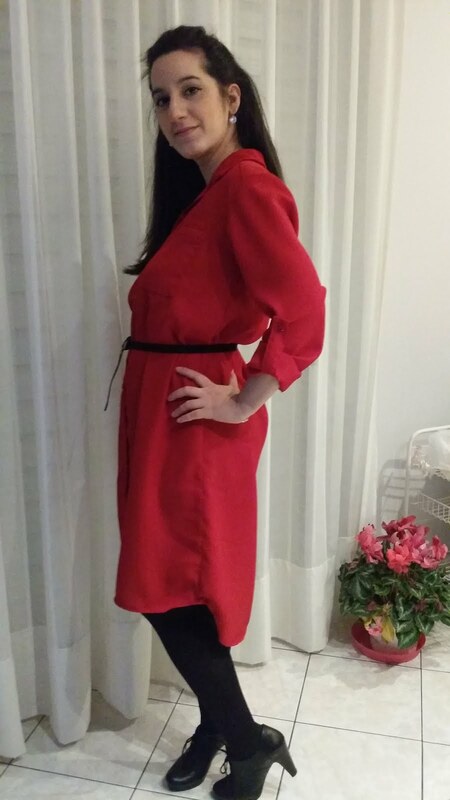 I liked not only the loose fitting of it but also the button up front closure which is great for me because I breastfeed my baby. I made it in a size 12. Yes, I know..that side seam.. The pattern requires quite a lot amount of fabric (3.1m for size 12). 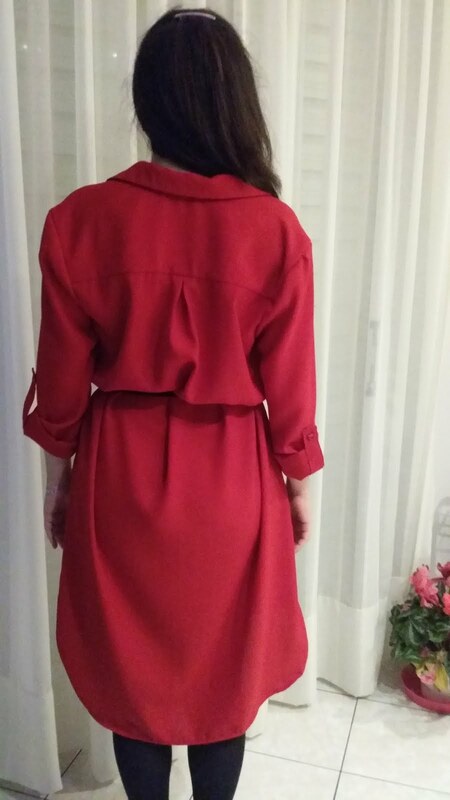 I used a crepe back fabric in deep red which I bought locally for 4€ per meter. I bought 4 meters and I had a lot of leftover fabric. 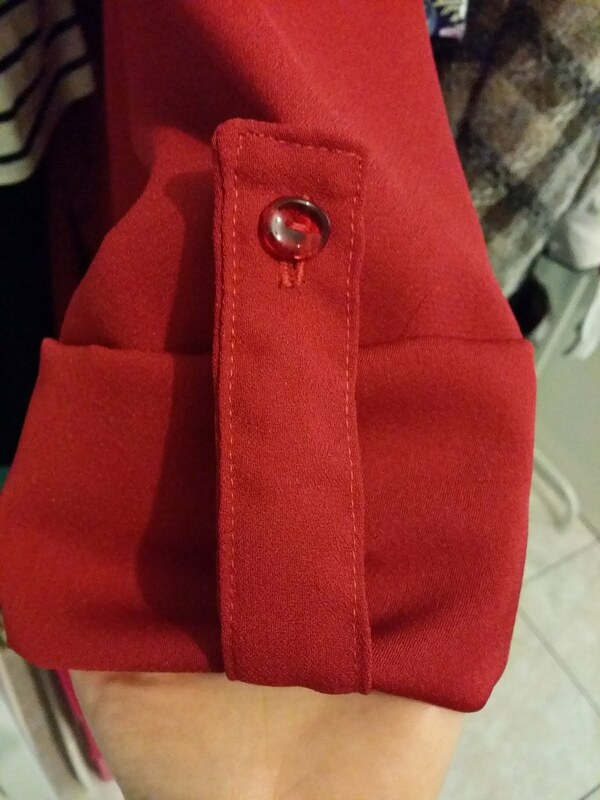 For the closure I used red transparent buttons (locally purchased). That was the first time I worked with crepe..so here is my experience and at the same time what I learned while I was working with it! As I mentioned above, that was the first time ever I used crepe. I had no idea that it was slippery! Well, it is slippery! 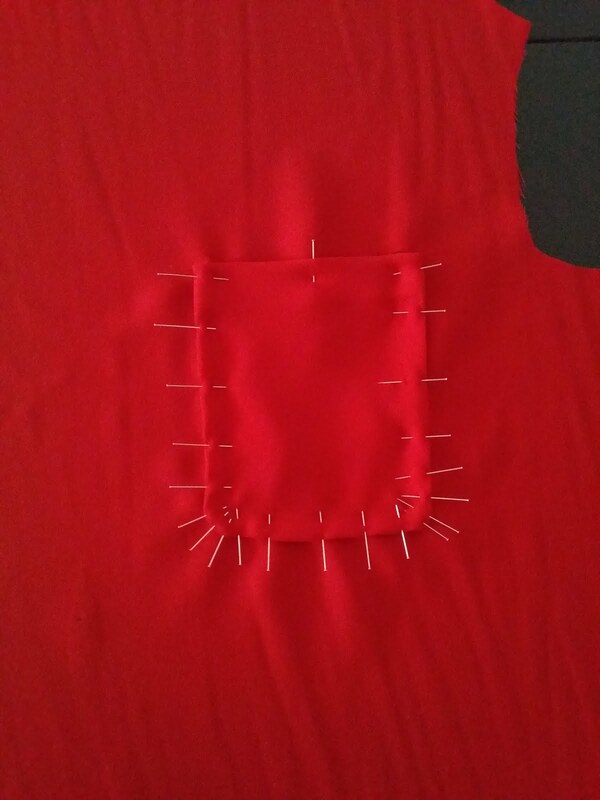 I had to use a lot of pins in order to stabilised it while I was pinning the pattern pieces to the fabric. I pinned like in every cm or so! Even though I paid a lot of attention during the cutting of the pattern pieces, I didn’t avoid some zic zac curves where it suppose to be straight line. I cut the fabric using scissors which let’s be honest, they aren’t the greatest. .I need a new pair of those! I think that rotary cutter and cutting mat could be a better choice instead of the scissors that I used for cutting this type of fabric. 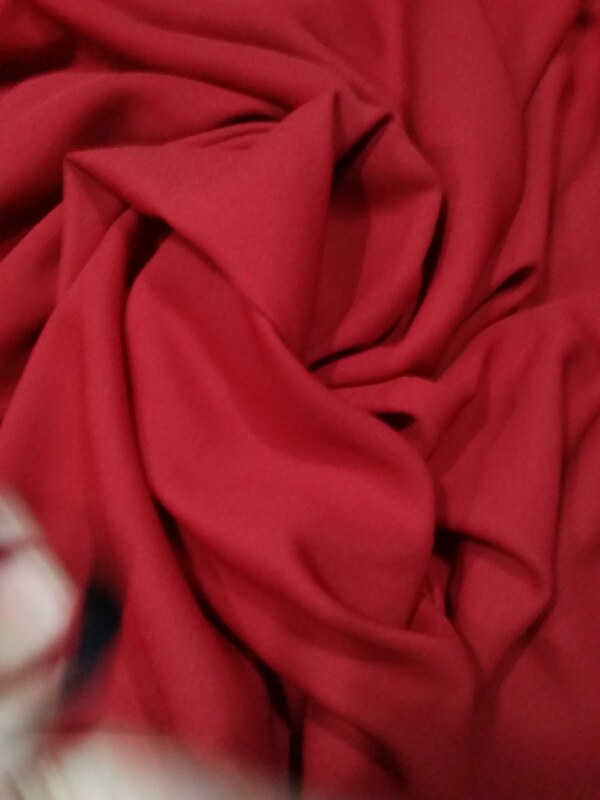 I also found out that crepe fabric frays. Badly! However, I didn’t want to secure the edges using zic zac stitch in order to avoid the bulkiness. Finally, I had to change the tension on my machine because when I sewed the side seams, they turned out too tight. That way, I had to sew again the side seams and I used lower tension. The pattern like the other patterns from the SOI ebook comes in step by step instruction phases which are very helpful. However, there are two things I noticed that they were missing. Firstly, it wasn’t written that I should top stitch the upper part of the pockets. Well, maybe it is obvious but while I was working on that part I was loyal to the instructions so I didn’t notice that it was missing. As a result I didn’t top stitch them. That way, I had to rip off the pockets, top stitch them and sew them down again. Secondly, the strips of fabric which I used in order to secure the rolled sleeves in place were too narrow. I double their width in order to have a proper strip of fabric for the closure. Here is the bigger sleeve placket that I made. These two things that I mentioned above, aren’t a big deal. Obviously. However, I would like to share them with you, just in case. As far as the yoke is concerned, was a bit tricky. So I watched a great video that Lisa from SOI made and it was really helpful. Here is the link to that video. The truth is that I’m not very happy with the final result. The reason for this is that firstly it turned out big. This wasn’t a fault of the pattern. I just lost some pregnancy weight and as a result according to my new measurements I had to make the smaller size. To fix it, I could take the sides in but the thing is that I don’t wear that much solid red in daily bases to alter it. Secondly, I feel that this pattern isn’t my cup of tea. It isn’t that it is bad it is just that I’m not feeling it. That way, I’m gonna keep it in the box of memories (as I use to say for the things that I don’t use but I actually want to keep..ha ha). At the end I would like to say that I learned a lot of new things along with this pattern and this makes me really happy. That was the first shirt pattern that I made and I didn’t struggled making it other than the slippery fabric choice and the two things during the instructions. Like I mentioned before, at first I didn’t want to share this project with you just because I wasn’t proud of the final result. 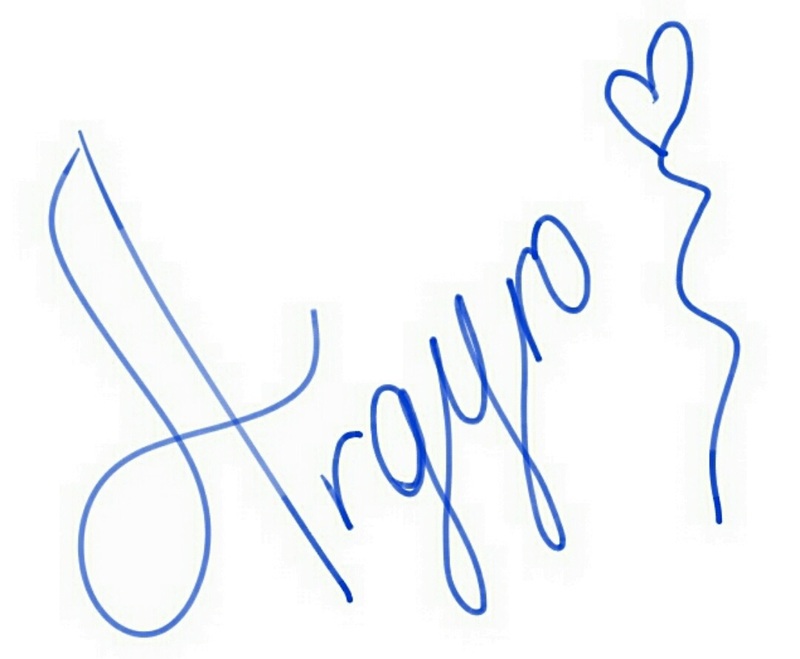 However, in this blog I want to share not only my best makes but also my missmakes. Don’t forget that we all learn through our mistakes and that mistakes are what make us better sewers!